Opposition MDC President Nelson Chamisa has accused top government officials of lacking patriotism by shunning local health and educational institutions in preference of India and South Africa. Addressing thousands of party followers yesterday in Gweru at Mkoba Stadium at a ‘Thank You Rally’, Chamisa said the senior government officials lack patriotism as they do not have confidence in local health and education institutions. “If you want to check the patriotism of a leader check where they are treated, check where they send their children to school check the clothes they put on, check the cars they drive. Those who are patriotic go to local hospitals because they believe in local institutions. “Those who are not patriotic go to India, they go to South Africa, and yes they must go and get treated, but they must work out to improve health services for the majority of our people so that they too receive proper medication to have good life,” Chamisa said. He bemoaned government’s lack of disaster preparedness mechanism and misplaced priorities during the times of disasters. “No one invites a disaster like the one which befallen us in Kadoma on our artisanal miners. But the government must have at least a minimum disaster mechanism. Right now we have drought but they pretend they do not know what is going on. You will see them running up and down later when people no longer have food in rural areas. Our government is ready we are preparing for that,” said Chamisa. Chamisa attacked government’s policy inconsistencies, charging that the confusion that hovers in the ministry of finance is a testimony that the only person who excelled in that ministry was his party deputy national chairperson Tendai Biti. 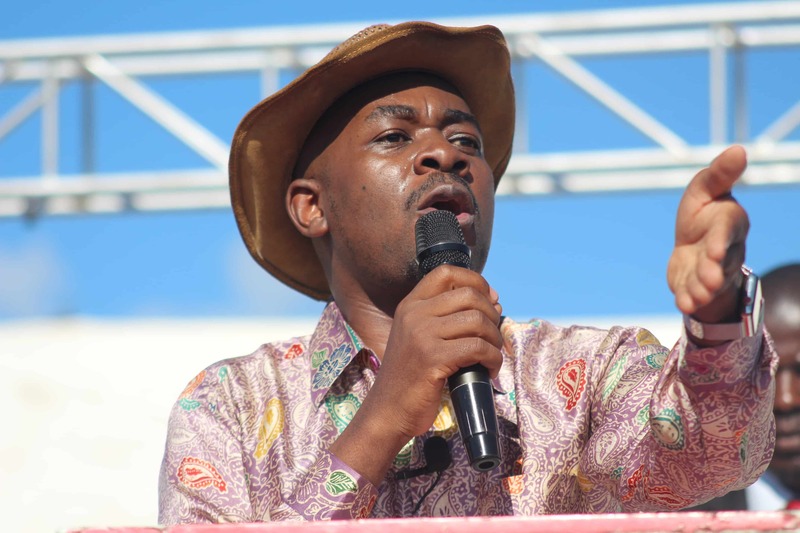 “Our team comprised of Biti, Mashakada and others introduced ‘eat what you kill’ policy to effect discipline on expeniture, vakati mari haidyiwe semushonga wemusoro usina dose,” Chamisa said.